Mark your calendars and make plans to attend the Los Angeles Religious Education Congress, which takes place this March 21–24, 2019. 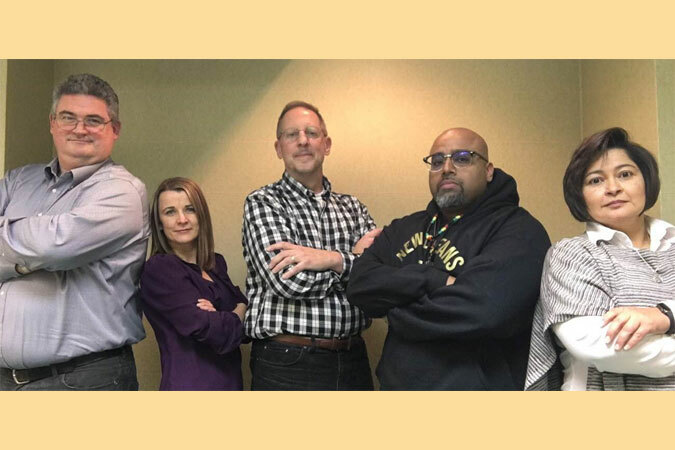 I recently had the joy and privilege of getting together with a team of amazingly talented co-presenters as we planned and prepared for our “extravaganza” on Saturday, March 23, from 3:00–4:30 pm (session 6-22): How to Renew, Re-energize, and Transform Your Parish NOW! We will be drawing from my book, A Church on the Move: 52 Ways to Get Mission and Mercy in Motion. I will also be doing a solo presentation drawing from my most recent book, Living the Sacraments: Finding God at the Intersection of Heaven and Earth, on Friday, March 22, from 10:00–11:30 am (session 1-15). While you’re there, be sure to stop by the beautiful Loyola Press exhibit in the Exhibit Hall! Would love to attend.Can persons outside of the US attend? I’m in Guyana South America and hehe been following Catechists Journey for some time now. If at all this is possible..kindly send me an invite. Oh I too work in Religuous Education for the Diocese of Georgetown Guyana.